CAMPECHE — A large tiger reportedly is on the loose in the mangrove area of Los Petenes Biosphere Reserve, located in the north of the state of Campeche. Kobén village residents and authorities of the Federal Attorney for Environmental Protection (Profepa) speculate that it could be a Bengal tiger that escaped from a circus that was abandoned in the area. Luis Mena Calderón, Campeche Profepa official, said, “It could be a Bengal tiger. It could be an abandoned animal”. At least five dogs, three sheep and more than 20 smaller animals including turkeys in three communities near mangroves have been victims of the tiger. The environmental authorities set up a trap circuit camera to detect and identify the animal that roams the region. Luis Mena Calderón in Campeche Profepa delegate, said “we are in the investigation stage, we have not yet had a formal sighting”. He added that evidence of the presence of the feline has led Profepa to organize search and capture operations for the animal. 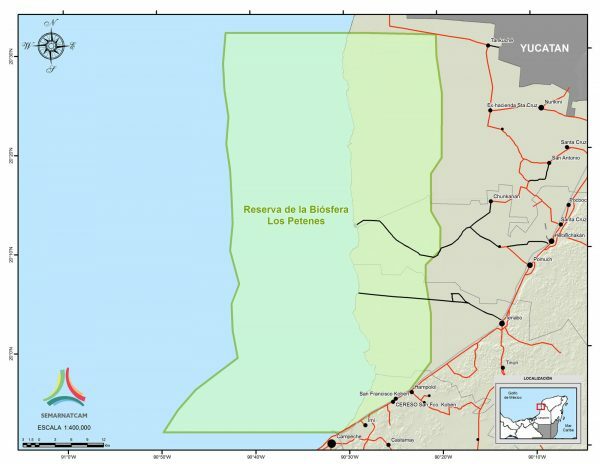 As a preventive measure, Profepa conducts surveillance tours in the wetland region that in 1999 was declared “Los Petenes” Biosphere Reserve, whose 282 hectares are home to a wide variety of flora and fauna.